Having found itself with good fortune and the associated challenge of a fast-tracked facilities need and capital project, Hillside reached out to KSC for immediate project and fundraising support and coordination. 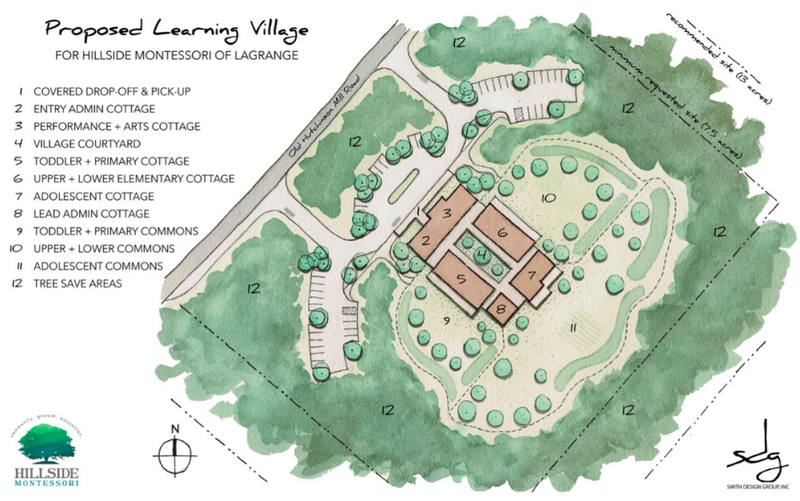 The growing school, located an hour south of Atlanta, is the beneficiary of a significant seed grant as well as a donation of land on which to locate its new campus. KSC quickly stepped in to work directly with the Head of School and Board of Trustees to develop the necessary budget, timeline, programming, enrollment forecast and fundraising models upon which to proceed. Phase 1 of the master planned campus will provide 12,000sf of new classroom, administrative, and community space at a projected cost of $3.2 million. Working on both sides of the project, KSC is presently guiding the school through the early stages of design and pre-development while also supporting the launch of a $1.5 million Capital Campaign. Presently, the project timeline points toward a summer 2020 completion. Newer PostNorthern Kentucky Montessori Academy: Never Ever Give Up on a Dream! Never!